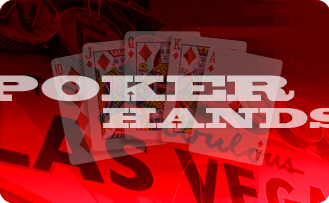 information from and about the WORLD OF POKER TOURNAMENTS, both “Online, and Land-based”. Poker Action Line is brought to you by Atlantic West, an 14 year old Software Developer and a server of internet gaming products. Copyright 2013 Atlantic West Management, Inc. The bets and / or raises at a poker table. "That table has a great deal of action" or "When you hit your Queen high flush, if you get any action, your opponent probably has a better hand." Also refers to the player whose turn it is to act. "The action is on the small blind." A small forced bet placed by each player involved in a hand before any cards are dealt. The most common poker game that uses antes is 7 Card Stud, but they are also used in the later stages of many Texas holdem tournaments in addition to the blinds. Please note that antes are not the same as blinds. In a no limit game, like no limit Texas holdem, to place a bet for all of the chips you have on the table. "I move all in." Also refers to a table stakes game, which means you can only play with the money you have on the table, where you have bet your last chips and there are still other players with more chips placing bets. In this case, you can only win the amount in the pot including your last bet and any calls of that bet. For example, if you place your last $10 in the pot at the beginning of the hand and there are three callers making the pot $40, no matter how much additional betting there is, you can only win $40. The remaining players are playing for both the $40 pot and the side pot, which is created from the additional betting action. Usually used in a Texas holdem game referring to a straight or flush that is completed using both the turn and river card. For example, you hold the Ace and Queen of clubs and there is one club on the flop. If the turn and river are both clubs, you have completed a backdoor flush. It can be used in association with a draw, "I have a backdoor flush draw" or with a made hand, "He hit the backdoor straight." Also often called runner runner. When a hand that is a large favorite to win a pot is beaten. It is used in describing both the receiving and giving as in, "I received a bad beat" and "I was very lucky and gave him a bad beat." Examples of a bad beat are when a hand like AA loses to 55 or when a player flops three of a kind and an opponent hits a backdoor straight to beat them. Bad beat is also often used in a derogatory way as if to say the player who won had no business in the hand at all. Though many players will complain about receiving a bad beat even when they lose a pot where they are slight favorites, the truly bad beats are when you are a large favorite, not just with a five or ten percent edge. The larger of two forced bets that are placed before any cards are dealt in Texas holdem and Omaha, as well as a few other less popular games. The big blind is two players to the left of the button, which signifies the acting dealer for the hand. It is usually twice the size of the small blind and is equal to the smaller of the two betting limits in limit Texas holdem. In a 2 / 4 limit Texas holdem game, the big blind would be 2. The blinds in no limit ring games are pre-determined by the house rules and in a tournament; they are determined by a set schedule, usually escalating as the tournament advances. Usually referring to a turn or river card, a blank is a card that doesn't appear to help any players in the hand and doesn't work in co-ordination with the rest of the cards on the board. If the flop is three-suited, or rainbow, with an Ace, Jack and nine, if the turn is a three, it would be considered a blank, as it can't form a straight or flush. In the same hand, if the river is a six and doesn't make three of one suit on the board, it would also be considered a blank. Used in all forms of Texas holdem and Omaha, as well as a few less popular variations of poker, a blind is a forced bet that is placed before a hand is dealt. There are usually two blinds, a small blind and a big blind, which are placed by the two players to the left of the dealer, or button. There are also a few places where there are three blinds and in a few games, there aren't small and big blinds, the blinds are of equal value. A blind is not the same thing as an ante, and can be used in conjunction with an ante, usually in the later rounds of tournaments. The board is all of the cards in the middle of the table that can be used by all of the players in the hand, often called community cards. The most common forms of poker using board cards are Texas holdem and Omaha. Usually referring to the flop, but also occasionally for all community cards, bottom pair is when you match or "pair" the lowest card on the board with one from your hand. For example, if you hold a King and a five and the board is Queen seven five, you have bottom pair. Though not the same, the term bottom set is also used at times, signifying three of a kind when you have a pair in your hand and match the low card on the board. After dealing the cards to the players at the table, mostly in Texas holdem and Omaha, the dealer places the top card of the deck face down into the muck or discard pile before each of the flop, turn and river. This prevents any chance of a player being able to see the top of the next card to prevent any type of cheating involving a marked deck. The term is often used in the phrase "Burn and turn" to signify burning the top card and turning over the next card. The token or disc that moves one space to the left after every hand to signify the player acting as the dealer for the hand. In games with an actual dealer, like at a casino, the button shows the player who has the advantage of acting last. In home games, the player with the button also often deals. This player is also often referred to as "The button" or "On the button." A reference to making a raise in order to force all of your opponents to fold, as in "Buy the pot", or raising in order to force the opponents between you and the blinds to fold, as in "Buy the button." When you hear "Buy the pot", it is usually insinuating that the player is bluffing or is on a bluff, but generally when a player is trying to "Buy the button"; they have an above average hand. The act of matching the last bet or raise without raising the pot. For example, "I call" or "I call your bet." See is also used at times with the same meaning. >A somewhat derogatory term, a calling station is a player that rarely bets or raises, but will call more bets than they should, often chasing long shot hands like inside straights even when the pot odds don't support the decision. The term is also often associated with weak / passive players. When a player places the last raise possible in a limit game, it is called a "cap." Often used as "She capped the betting" or "The betting was capped on the flop and turn." The cap varies from poker room to poker room, but it is usually the third or fourth raise on a betting round. Be aware that in some poker rooms, once the action gets down to only two players remaining in a pot, or heads up, there is no cap on the betting. The fourth and final card of any rank in the deck. For example, if you have three sevens and the fourth seven falls on the river, it is said to be the "Case seven." The part of the total pot that any player remaining in the hand can win. Generally this is the entire pot, but in the case of a player being all in while other players continue to place bets, the part of the pot that the all in player can win is the center, or main, pot. Any other bets are placed in a side pot. When you are still involved in a hand of poker and it is your turn to act while there haven't been any prior bets, you may pass or "check" to the next player without placing a bet. By checking, you reserve the right to call or raise any future bets on the same round of betting. A check is also a slang word used when referring to a casino chip. When a player checks their first option to bet on a round and then raises after an opponent has placed a bet. Though check raising is widely accepted and legal in most poker rooms, there are a few rooms where it is against the house rules. It is always a good idea to check the house rules before playing in any poker game. The check raise is also a powerful play, showing a great deal of strength at the poker table. When you call a double bet, or a bet and a raise in front of you, you are "cold calling." Another example is when there is a raise before the flop before you have to act. If you call, then you are cold calling the big blind plus the raise. This only refers to fixed limit games. Another name for a drawing hand. For example, if you enter the pot with a six and seven of the same suit, it will almost always need to improve to win, so it is a drawing hand, or when you have two cards of the same suit and two more of your suit land on the flop, you will be drawing to a flush on the turn and / or river. Cards placed face up in the center of the table, which are shared by all of the players remaining in the hand in order to form their best possible hand when used in conjunction with their hole cards. In Texas holdem and Omaha, the community cards consist of the flop, turn and river. Community cards are also called board cards or the board. A hand that uses all five cards and / or one that cannot improve, such as a straight flush, four of a kind, full house, flush or straight. Usually used when discussing a starting hand in Texas holdem, a connector is a hand where the two cards are one apart in rank, such as a Jack and ten or a three and four. When the term "suited" connector is used, the two cards are also of the same suit. Can also be used in the terms of a one-gap or two-gap connector. These simply mean that there are one or two cards, or gaps, separating the two cards. For example, a six and eight is a one-gap connector while a six and nine is a two-gap connector. Many poker purists will not recognize any hand with a gap being a connector, but the terms are used often. Usually used in reference to an Omaha high / low split game, when a card lands on the board that make your hand either less valuable or worthless by matching one of the cards in your hand. In an Omaha high / low split game, if you have an Ace and two with a three, five and seven on the board, you have the best possible low hand. If the turn or river is a two, your hand is often "counterfeited" because you don't have the best possible low hand any more. This can also happen in a Texas holdem game when you have a hand like eight nine and the flop is ten, Jack, Queen. If the turn or river is a nine, it often gives an opponent a higher straight, counterfeiting your hand. When a starting hand that is a favorite to win loses, usually referring to a pocket pair. For example, "My pocket Aces have been cracked twice in the last hour" or "I cracked her Kings with a flush." Often used in the phrase "cripple the deck", when you have all or most of the cards needed to complete a strong hand in conjunction with the board, the deck is said to be crippled. For example, if you have pocket Queens and the other two Queens are on the flop, you have effectively crippled the deck. The person that is actually dealing the cards as well as the person who has the button, who acts last on every round of betting with the exception of the first round. Another term for underdog, a dog is a hand or player that is not favored to win a particular hand. For example, if you have Ace Queen, you are a dog to Ace King. A dominated hand is one in which your opponent has a much stronger hand consisting of one card that is the same rank as one of your cards as well as another card that is higher than your other card. Usually in this situation, you must hit one of the three remaining cards in the deck matching your second card to win. A hand that needs to improve to win or the act of drawing to a better hand. "He had an inside straight draw" or "The pot was giving me good odds so I had to draw to the straight." Your equity in a hand or pot is the amount that is in the pot multiplied by your chances to win as a percentage. For example, if there is $100 in the pot and you have a 50% chance to win, your equity is $50. Of course the great majority of the time you will either win $100 or $0, but if you enter the same situation hundreds of times, you will win on average $50 per occurrence. The best use of this information is determining if it is correct to enter a pot, call a bet or raise. By determining your equity over hundreds of times in the same situation, you can make the right decision. This is tied closely to expectation. Expectation is the amount you will make on average if you enter the same situation hundreds of times. For example, if you must invest $10 into a $60 pot to draw to a hand that you will make 25% of the time, and it will win every time you make it, here is how you determine your expectation. Three out of four times, you do not make your draw, and lose $10 each time for a total of $30. The fourth time, you will make your draw, winning $60. Your total gain over those four average hands is $60-$30 = $30, an average of $7.50 per hand. Thus calling the $10 has a positive expectation of $7.50. The best poker players put themselves in positive expectation situations over and over again. The other meaning of expectation is how much you win playing poker over a certain time period. To simplify our computations, if you play 100 hours and win $500, you’re your hourly expectation is $5. To get fairly accurate results, you should track your results for at least 50 hours. A blind posted by a player just entering the game when they don't wait for their turn in the big blind. An extra blind is the same as a post. A hand of poker where either all or almost all of the players at the table see the flop. These types of hands can be common at lower limits, but are almost never seen at the higher limits. To play a hand aggressively, betting and raising at every possibility. Often heard in the phrase "Playing fast" or "I played that hand fast." Usually you will play a hand fast when you are protecting a made hand against a draw that will beat you. The player who has a statistical advantage in a hand is the favorite to win. For example, a player with a pair of Queens is a favorite over a player with a pair of jacks. The first three community or board cards in a Texas holdem or Omaha game. The flop is taken from the top of the deck after the first card is burned, then all three cards are placed face up at the same time in the center of the table. To place your cards in the muck or exit a hand. When facing a bet, if you don't call it, you fold. The dealer can also fold your hand if you are not at the table when it is your turn to act. A hand that cannot be played and cannot claim any part of the pot. If a player has three hole cards in Texas holdem, their hand is fouled. Most situations like this that are caught before any betting action takes place are corrected by a re-deal. A deck can also be fouled if it is found to be missing a card. When two players are tied in a hand, but one player can win the entire pot while the other can only hope for a tie, the player who has a chance to win the entire pot is free rolling. For example, if you have the Ace and Queen of clubs, your opponent has the Ace and Queen of spades and the flop has two clubs and no spades, the worst you can do is split the pot, but you can win it outright if another club hits on the turn or river. Free roll also refers to a tournament that has real money prizes but no entry fee. Four cards to a straight with a gap, also called an inside straight draw, with at least one card to come. For example, Queen, Jack nine, eight or Ace, Queen, Jack, ten are both gutshot straight draws. If you have four consecutive cards to a straight, it is called an open ended straight draw. When a hand or tournament gets down to two players or when two players decide to play one on one. When one of the cards on the flop helps your hand, it "hits" you. For example, if you have Ace Queen and the flop is Queen, six, five, the flop hit you. It can also be used to express the degree the flop helped you. For example, if you have King ten and the flop is Queen, Jack, nine, then the flop hit you hard. Also used to describe when a certain card lands on the board. "The Queen hit on the river to give me a straight." Also called pocket cards; your hole cards are the cards you have in your hand which you combine with the community cards in games like Texas holdem and Omaha to make your best five card hand. In 7 Card Stud, the first two cards and the final card are the hole cards. The house is the place where you are playing poker, often a poker room or casino. The house collects rake, provides tables and chairs and usually the dealers. The rules for the poker games where you are playing. It is very important to familiarize yourself with the house rules wherever you play poker to make sure you don't make a costly mistake and / or get taken advantage of, as they vary from poker room to poker room. When you are drawing to a hand, like a flush or straight, and trying to determine your pot odds, your implied odds are any additional bets you may be able to collect if you hit your hand. Don't make the mistake of overvaluing implied odds though, especially with hands like flush draws, where everyone can see the danger and may not pay you off. The same thing as a gutshot straight draw, an inside straight draw is four cards to a straight with one gap, with at least one card to come. For example, two, three, five, six is an inside straight draw. A special award for certain hands. Not all poker rooms have jackpots; check the house rules of the poker room you are playing in. The money to fund the jackpot is usually taken in addition to the rake from each pot. Different kinds of jackpots include a bad beat jackpot where if a player has a certain hand or better and loses they collect the jackpot or a high hand jackpot, that is collected by the player who had the highest hand for the day. The second card in your hand when you use one card to form a hand with the board. Your kicker will be compared to your opponent's kicker when you tie for a pot, with the pot going to the highest kicker, unless the players have identical five-card hands. For example, if you and your opponent both have an Ace in your hand and there is an Ace on the board, the player with the higher second card, or kicker, in their hand will be awarded the pot. However, if one player has Ace two and the other has Ace three and the board is Ace Queen, ten, eight and six, the players will split the pot as they both have identical five-card hands so neither of their kickers comes into play. Any forced bet placed before the cards are dealt in the blinds, usually from the first two seats to the left of the dealer button. The live part means that the players who placed the blinds reserve the right to raise when it is their turn to act. hand that is complete, or that should be good enough to win most of the time. For example, when you hit a flush on the turn, you have a made hand. A player that tends to bet and raise in an uncontrolled manner, usually with a total disregard to his or her hand and their opponents. A true maniac is a poor player and tends to have large swings in wins and losses before losing their entire stack, but be wary of a solid player who appears to be playing like a maniac; they could be setting you up. To throw your hand away or the area where the discarded hands are kept. "I mucked my hand after the second King hit" or "Once the hand touched the muck, it was dead." A form of poker, usually Texas holdem, where any bet may be up to and include all of the chips a player has on the table. A term referring to the best possible hand. For example, an Ace high flush on an unpaired board with no possibility of a straight flush would be the nuts, or the nut flush. "I had the nuts on the turn, but the river gave my opponent the nuts." Two cards that are not the same suit are called offsuit. Usually referring to a players hole cards, for example a seven and a two that are not the same suit are called a seven two offsuit. Two cards that have one rank between them like nine seven or Ace Queen. Often combined with the word connector, as in a one-gap connector or a suited one-gap connector if the two cards are of the same suit. Four cards to a straight with no gaps and at least one card to come on the board is an open ended straight draw. Also called four to a straight. For example, Queen, Jack, ten, nine is an open-end straight draw. If it has a gap, it is called a gutshot straight draw. Another straight draw, called a double gutshot acts much the same as an open ended straight draw when it comes to determining pot odds. An example of a double gutshot is three, five, six, seven, and nine. Notice that either a four or eight will complete a straight. A card that can come on the turn and / or river to improve your hand to a winning one is called an out. For example, if you have four cards to a flush, you have nine outs to improve to a flush. "I had 12 outs on the river, but it was a blank, knocking me out of the tournament." A player with a drawing hand catches the card they need to win, they are said to outrun their opponent. "Her flush draw outran my set of threes." When you call a bet when one or more opponent has already called. If you have a card that is higher than any card on the board, usually referring to the flop only, then you have an overcard. For example, if you have an Ace and a four and the flop is Jack, ten, six, you have an overcard. If you have a King and a Queen and the board is ten, eight, three, you have two overcards. When you have a pocket pair that is higher than any card on the board. For example, if you have a pair of tens and the board is eight, six, three, you have an overpair. To call a bet, almost always on the river, when it looks like you are beat, but the pot is offering enough return that you must call. "He was representing the flush, but there was so much in the pot that I had to pay him off with my set." In a Texas holdem game, if the five board cards form a better hand than you can make using one or both or your hole cards, you are said to be playing the board. This is usually a very weak hand and you will never win the pot outright in this event. The best you can hope for is a split. It should be noted that in an Omaha or Omaha high / low split game, you cannot play the board, as you have to use two hole cards to complete a hand. The cards in your hand, or hole cards are often called pocket cards. For example, if you have two eights, you have pocket eights. Two cards of the same rank in your hand, such as two Aces or two Queens. "I had a pocket pair, but after that flop I had to fold." To place the small or big blind. "I posted my blind." Also the name for the forced bet you must place in some card rooms when you first join a table. Most rooms will allow you to wait until you are in the big blind to start playing in order to post. A form of poker, most often used in Texas holdem and Omaha, where bets and raises can be up to the amount of money in the pot. In the case of a raise, the raise can be up to the amount in the pot including the amount necessary to call the previous bet. For example, if there is ten dollars in the pot and an opponent bets ten, then you could raise thirty, ten that was in the pot plus ten from your opponent's bet plus ten for your call. In this case you would place forty in the pot, your ten for the call and the thirty for the raise. The amount of possible return that the pot is offering you if you win the hand in comparison to the amount you must call in order to stay in the hand. When pot odds are used in conjunction with your odds to improve on a draw to the best hand, you can make accurate decisions on the profitability of staying in the hand. For example, if you have four cards to a flush and you think that when you hit the flush you will win the hand and there is twenty dollars in the pot and you only have to call five, the pot is offering you four to one odds. If your odds of hitting your flush are better than four to one, then you should call. Don't forget to factor in any bets that you may have to call on the river or that you may collect on the river when determining your odds. The amount the pot is offering, usually determined by pot odds, to stay in a hand. "I received the correct price to draw to my flush." To shield your hole cards while looking at them so your opponents can't see what you have or to place a bet in order to force an opponent or opponents to pay to draw to a better hand. For example, if you have two pair and there are two cards to a flush on the board, you may bet in order to protect your hand, forcing your opponents to call a bet to draw to a flush. Also, the act of placing a chip or some other small item on your hand so the dealer knows not to gather it as a fold. Four of a kind or four cards of the same rank, for example four Queens or four sevens. 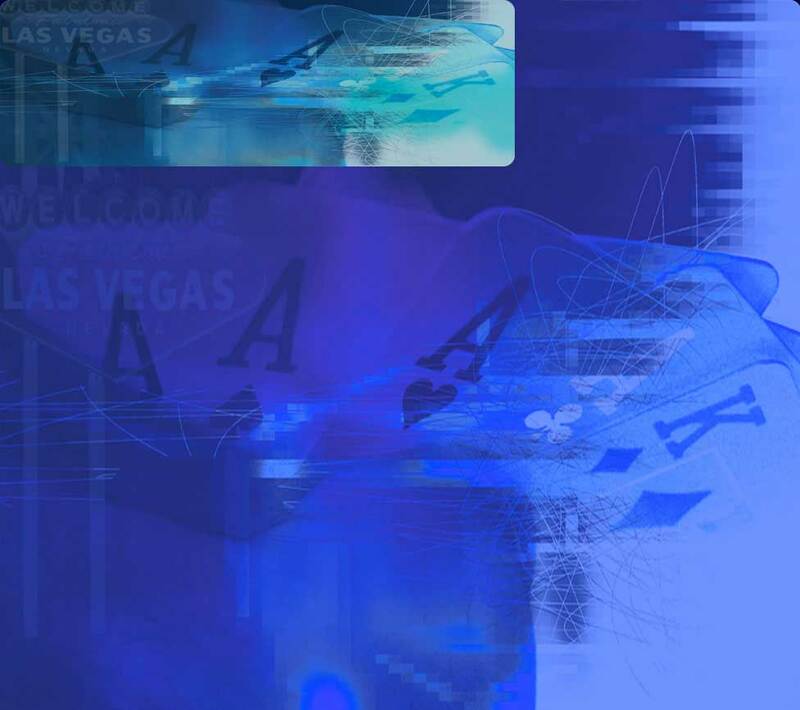 Referring to the community cards, usually the flop, ragged means that the cards don't connect in any way such as no straight or straight draw possibilities and no flush or flush draw possibilities. For example, a flop with three different suits, often called a rainbow, of two, seven, Queen. "It was a ragged flop so I bet my pair of tens hoping to pick up the pot." >A term used to describe the flop, a rainbow flop means that there are three cards of different suits on the board. It can also refer to the first four community cards if they are different suits. To place a bet after an opponent or opponents have bet. The bet must be at least equal to the previous bet. For example, in a no limit Texas holdem game, your opponent bets 100, you must raise at least 100, for a total bet of 200 (100 for the call and 100 for the raise) in order to raise. You cannot raise 50 in the above example. Opening the betting on a round is not considered raising, it is just betting. The amount of each pot retained by the house as a fee for hosting the poker game. Some poker rooms do not charge a rake per pot, instead they collect fees based on the time a player sits in a game, usually every hour or half hour. This is called a seat charge or time. The rake varies from poker room to poker room, often between three and five percent of the total pot. Frequent players should be aware of the rake, as it has a long-term effect on your profitability at the poker table. The level of values of the cards in a deck. An Ace is higher than a King, which is higher than a Queen, etc. When a statement is made about two or more cards of the same rank, it means two or more of the same card. For example, two Kings are the same rank. To place a bet or raise that makes it look like you have a hand that you may or may not have. For example, if a third card of the same suit lands on the river, you may make a large bet representing the flush, whether you have it or not. Any poker game that is not a tournament is usually referred to as a ring game. In a ring game, players are able to purchase more chips between hands. A ring game also continues as long as there are players willing to play, unlike in a tournament setting. The last community card in Texas holdem and Omaha, also called fifth street. Often heard in the description of a hand, like "I caught my fifth spade on the river for the flush." A term used to describe a player who plays very tight before the flop, folding a very high percentage of hands. A rock only enters the pot with a strong hand, so you should be aware of whom the rocks are at the table, because you will need a strong hand to enter a pot they are in. Also, when a rock bets on the river, it is highly likely that they have a good hand. Often used as runner-runner, this means to catch cards on the turn and river to complete a long-shot draw. For example, "She hit runner-runner clubs to beat my straight." Any card that lands on the turn or river that can complete a hand for one of youropponents, when you have had the best hand up until this point. The most common scare cards are ones that place three cards to a flush or three cards to a high straight on the board. Also, if the board pairs, this can give someone a full house. For example, if you have a set but a third heart lands on the river, one of your opponents may have a flush or if you have a flush but the board pairs on the river, one of your opponents may have a full house. Used in the phrase "Sell a hand" or "Selling a hand." To sell means placing a bet that may be smaller than normal when you have a very strong hand in order to get an opponent or opponents to call or even raise so you can win additional bets. To place a bet when you have a hand that may or may not be the best hand at the time, but has a chance to improve to the best hand if it isn't currently. Your hopes when placing a semi bluff are usually that your opponents will fold, but you have a chance to win if they do by improving on the later rounds. A bet on the river is never a semi bluff, as you must be able to improve if called for it to be a semi bluff. Three of a kind, with two of the three cards in your hand. When there are two cards of the same rank on the board and you have a third one in your hand, it is not called a set, but is referred to as trips. To have the smallest, or one of the smallest, stacks of chips at the table. Usually used in tournament play to describe players in danger of being eliminated by the rising blinds. The end of the hand when all remaining players turn over their hole cards to determine whom the winner is. In the event that there is a bet and no one calls, there is not a showdown. For example, "You must showdown the best hand to win" or "After the showdown, I collected my chips and left." A pot created in which a player has no interest because he has run out of chips. Example: Al bets $6, Beth calls the $6, and Carl calls, but he has only $2 left. An $8 side pot is created that either Al or Beth can win, but not Carl. Carl, however, can still win all the money in the original or "center" pot. To check or call when you have a very strong hand in an attempt to fool your opponents into thinking you have a poor hand and / or to entice them to invest more money in the pot. The smallest of the forced bets that are placed in a Texas holdem or Omaha game before the cards are dealt. It is placed by the first person to the left of the dealer, or "button", and is usually equal to half of the big blind and / or half of the lower betting limit in a ring game. For example, in a 4 / 8 game, the small blind would be 2 and the big blind would be 4. To call a bet, usually used when you have a very strong hand and are trying to entice more action either behind you or on the later rounds. "He flopped the nut straight, but just smooth called to trap me." If two or more players tie for the best five-card hand, the pot is divided equally amongst all of the winning players. Any hand in which you have two pair by pairing both of your hole cards with two on the board. A hand with one pair on the board and either one pair in your hand or one of your hole cards pairing the board is not called a split two pair. Used almost exclusively in Texas holdem, and not very often even there, in a spread limit game, the betting limits are not set like a limit game, they are a "spread" of betting limits, where a player may place a bet anywhere within the spread. For example, in a 2 –10 spread limit game, the bets can be anywhere from 2 to 10. Any raise still must be at least equal to the previous bet, so if a player bets 5, a raise must be for at least 5. Only allowed in some poker rooms, a straddle is an additional blind bet placed by the player to the left of the big blind before any cards are dealt equal to twice the big blind. When a player places a straddle bet, any player entering the pot must call or raise the double bet and the player who placed the straddle will act last on the first round of betting and may place an additional raise at that time if the betting has not been capped. Against the house rules in almost every poker setting in the world, a string bet is when a player either calls a bet and then raises, "I call and raise" or when a player places chips in the pot equal to a call and then reaches back to get more chips to make a raise without stating his or her intentions to raise beforehand. When players are allowed to use a string bet, they can use it to judge the reactions of their opponents to decide whether or not to raise and / or how much to raise. The term used when describing most limit poker games. A 2 / 4 limit Texas holdem game is structured, as the small blind is 1, the big blind is 2, all bets on the first two rounds are 2 and all bets in the last two rounds are 4. When two or more cards are the same suit, like hearts or clubs, they are "suited." Usually used when describing a starting hand, for example if you have the Ace and Jack of diamonds, your hand is suited. Can also be used to describe a flop or part of a flop. "The flop was suited in spades" or "The flop had a suited King Queen." Covered in the house rules of the poker room, table stakes means that players can only play any individual hand with the amount they have on the table. In other words, you can't pull money out of your pocket and put it into play in the middle of a hand. A rule that goes hand and hand with table stakes is that a player may not take any chips from the table unless they are leaving. For example, if a player secures a big win, they may not remove part or all of the chips from the table unless they are leaving the game. Any action or hint that a player gives that gives away the strength or weakness of his or her hand. Some tells are obvious while others are very difficult to detect. Also, some of the best players are experienced enough to give false tells. When a player alters their normal play, often caused by losing a hand they were favored to win, but also at times brought on by the actions of another player. Tilt can be very costly and it is important to be able to control your emotions at the poker table to avoid playing poorly. "He went on tilt after my Jacks beat his Queens and lost half his chips making poor plays." The request of a player who needs additional time to decide what to do when faced with a decision, usually vocalized by the statement "time please." Also another name for the seat charge collected at some poker rooms instead of collecting rake per hand. The time is usually charged either per half hour or hour at the table. Another name for a tip, given to the dealer or a waitress in a poker room. To match, or pair, one of your hole cards with the highest card on the board. Usually used when referring to only the flop. For example, you have a King and Jack and the flop comes Jack, six, three. To form a set, which is three of a kind with a pair in your hand, matching the highest ranking card on the board. Though top set is used to describe the situation for all five community cards at times, it is usually used referring to just the flop. For example, you have two nines and the flop is nine, seven, two. When you have two pair by matching your two hole cards with the two highest cards on the board. For example, when you have a King and Queen and the board is King, Queen, eight, seven, two. Can also be used when referring to just the flop, as in "I flopped top two pair." Two pair where your hole cards pair both the top and bottom ranked cards on the board. For example, if you have an Ace and a three and the board is Ace, Queen, ten, eight, three. Can also be used when referring just to the flop. Trips — Three of a kind where there are two cards of the same rank on the board and you have the third one in your hand. When you have two in your hand and one on the board, it is called a set. The fourth of five community cards in Texas holdem and Omaha. Also referred to as fourth street. "The turn was the Ace of spades, completing my flush." The first player to the left of the big blind. The under the gun player is in the worst position before the flop and will have to play the hand out of position unless the only other players in the pot are the blinds. Generally players only play their best hands from under the gun. Not being favored to win a hand also referred to as a dog. For example, "My pair of Queens was a large underdog to her pair of Aces." Usually used in the phrase "value bet", it means placing a bet that you hope gets called because you have the best hand. However, a bet can also be a value bet if you have a drawing hand, as long as your draw is favored to win. Variance refers to the normal up and down swings of a players bankroll caused by the short-term luck involved in different forms of poker. Also, different playing styles lead to different levels of variance. Even the best poker players in the world have a degree of variance in their bankroll due to poor and good runs of cards, just like poor players. at a target. In no-limit, the target comes alive and shoots back at you." If you think of 'poker' you naturally think of Texas Hold'em. That's natural — it's Hold'em that you see being played on TV all the time. But many variations of poker exist, but all of them share certain basic rules. All poker games involve betting on the strength of a poker hand, and all poker games feature a "pot" that those bets go into. The player with the strongest hand, or the only player left in the pot after everyone else folds, wins the pot. In some games the pot is split between the highest hand at the table and the lowest hand. These games include Omaha 8 and Stud 8. And in Razz, the pot is awarded to the player with the lowest hand at the end of all rounds of betting. When a player has not bet prior to his action, he has the option of checking. To check is to stay in the hand without betting. The person clockwise from the person who checks then gets to act. If everyone checks all around the table, then the betting round is complete, and no money is added to the pot. Another option a player has when no one else has bet before him is to bet. Every player after the bettor has to choose to fold, call or raise. A player can't check once someone else at the table has bet into the pot. Folding means giving up any chance of winning the pot, but it also means the player doesn't add any money to the pot. A player who folds is out of action until the next hand is dealt. To call a bet is to put enough money in the pot to match the bettor's bet. If it's the final round of betting, the person who bet originally has to show his hand to the caller. To raise a bet is to put more money into the pot, so that the original bettor has to add more money to the pot to stay in the hand. Someone who bets and is subsequently raised by a player later in the betting round also has the option of folding. When the betting rounds are complete, if there are multiple players still in the pot, there is a "showdown", where the remaining players show their hands to each other. The person with the best hand wins the pot. If there is only one person left in the pot at the end of a betting round (i.e. everyone else folds), that person does not have to show his hand, and he automatically wins the pot. Poker games are almost always played using a tradition called "table stakes", which means that only the chips that are on the table can be used to bet during a hand. A corollary to this "table stakes" rules is the "all-in" rule, which says that a player doesn't have to forfeit his stake in a pot just because he doesn't have enough chips to cover a bet or a raise. If all of a player's chips are in the pot, he's considered all-in, and additional bets and raises from other players after he is all in go into a side pot. The all-in player has no stake in the subsequent side pot, but does have a chance to win the pot he has a stake in. There are hundreds of poker variations that are played both online and off. The most popular poker games and rules are featured at AmericanSchoolofPoker, and these include Texas Holdem, Seven Card Stud, and Omaha games, as well as variations like Razz and HORSE. Each variant has its own rules variations, but the betting basics are essentially the same from game to game.